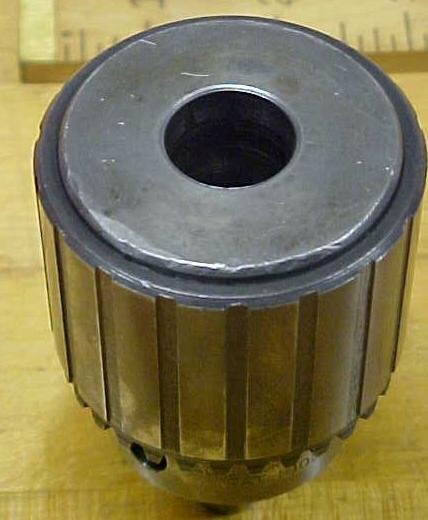 This is a nice clean, vintage 3-jaw drill chuck marked "THE JACOBS MFG. 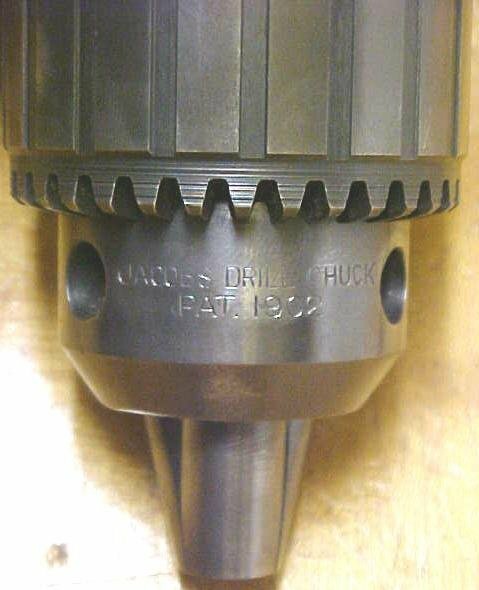 CO. HARFORD CONN. MADE IN U.S.A. JACOBS DRILL CHUCK PAT. 1902 NO. 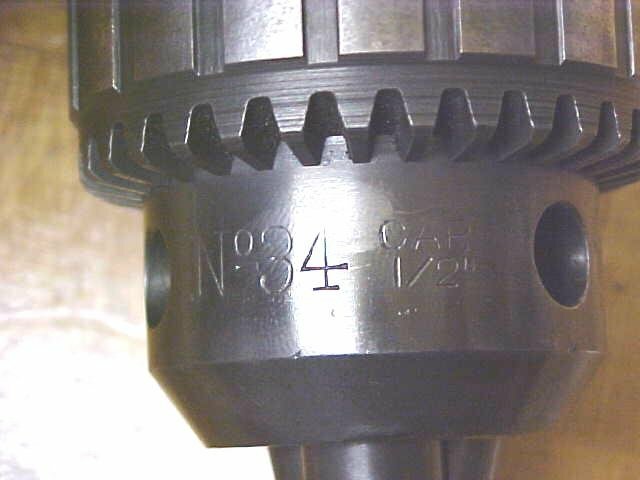 34 1/2" CAP.". It's has 5/64-1/2" CAPACITY, is in very good working condition with very good jaws, adjusts smoothly, appears to have been used, but very little wear, however, we do note some dings on the end plate where the arbor will fit, and a few on the end plate where the jaw slide in, but no effect on use, stricktly a cosmetic issue. It is designed to be fitted with an arbor that has a 5/8" tapered end at one end to fit into the precision hole on this chuck. These arbors are still available for sale by Jacobs. The key for the chuck is included, and is in very good condition. 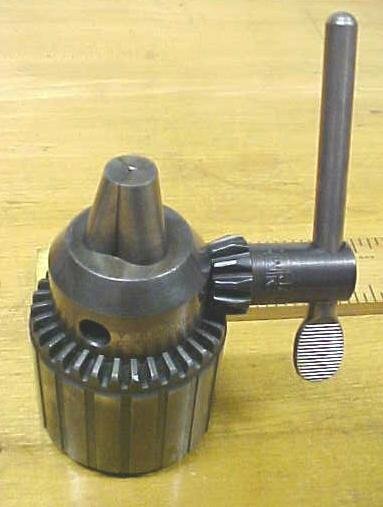 Items Similar To "Jacobs Drill Chuck 5/64-1/2 Cap. No. 34 w/ Key"